Craig Taborn was born in Golden Valley, Minn., and grew up with the likes of Reid Anderson and Dave King. He left Minnesota years ago for New York and the world at large, but we still claim his as our own. Many of us were pleased to learn that earlier this week he received the Paul Acket Award. Every year, the North Sea Jazz Festival hands out the Paul Acket Award to an artist deserving wider recognition for their extraordinary musicianship. The winner of the Paul Acket Award 2012 is the American composer and pianist, Craig Taborn. 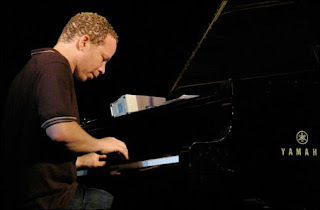 Craig Taborn will receive his price at the festival where he will also perform with PRISM, also featuring Dave Holland, Kevin Eubanks and Eric Harland, on Saturday July 7. Paul Acket Award With this award, the North Sea Jazz organisation wants to highlight talented jazz musicians at the beginning of their career. These artists are already known within the jazz scene, but not yet recognized by a wider audience. Besides a trophy, the winner of the Paul Acket Awards also receives a cheque of 5000 euro, meant to push his career even further. Former winners of this award are amongst others Arve Hendriksen (2011), Christian Scott (2010), Stefano Bollani (2009), Adam Rogers (2008), Gianluca Petrella (2007), Conrad Herwig (2006) and Ben Allison (2005).